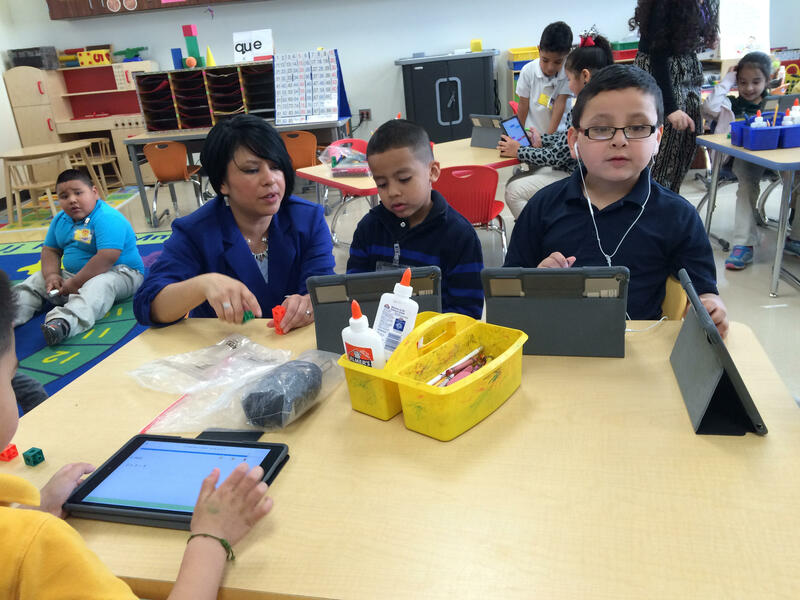 Rubiria Jaco-Melendez helps her kindergarten class on their daily assignment. Inside Rubidia Jaco-Melendez’s bilingual kindergarten class at Bell’s Hill elementary, students are working through an addition and subtraction exercise. Some are at their desk completing the task on a district-issued tablet and others are on a carpet, counting how many blocks they have. One student cheerfully shouts, "We have 10!" Normally, Jaco-Melendez would have to move between both groups, offering help and instruction. But with the passage of Waco ISD’s tax ratification election – which saw, in part, the increase of the district’s maintenance and operation tax rate – the district was able to create an estimated $3.9 million for classroom aides. These literacy aides are now in Pre-K to 3rd grade classrooms throughout the district. Jaco-Melendez says they offer much needed help. For Bell’s Hill’s elementary, which has an English-language-learner population of 49 percent, the classroom aides’ contribution to language acquisition and the improvement of literacy skills is invaluable, says Bell’s Hill’s principal Bevil Cohen. 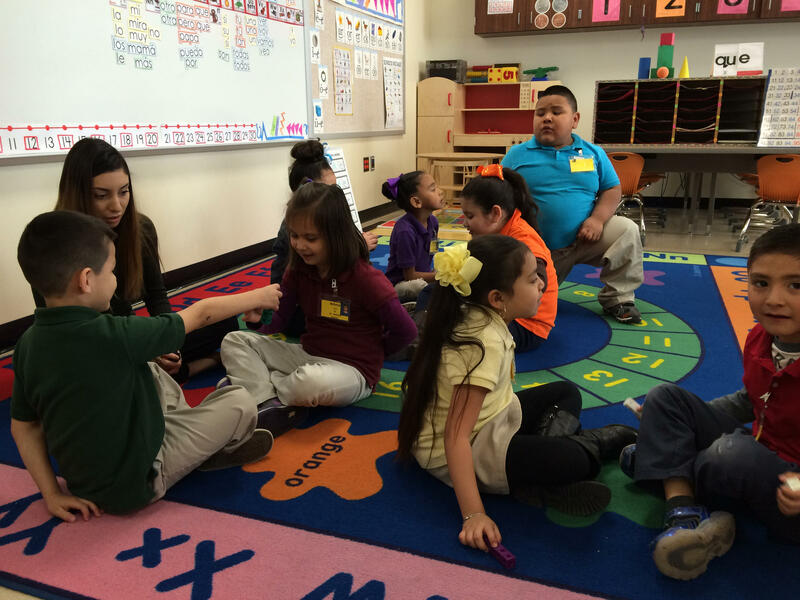 Rubiria Jaco-Melendez's literacy aide helps students with a daily exercise. The goal for Waco ISD is to have 83 percent of third-graders reading on grade level by 2020. Third grade is of course when students in Texas first take STAAR, the state mandated standardized test. The presence of these literacy aides in elementary grade levels has reduced teacher-student ratios. Across Texas, the state has set enrollment for classes, from kindergarten through grade 4, at no more than 22 students in a single class. With literacy aides that number is effectively halved, which Jaco-Melendez says has allowed each student to receive more attention. Her literacy aide is there from the start of the day to the end. Since the passage of the tax ratification, the district has placed 143 aides in campuses throughout Waco ISD. Bell’s Hill elementary received 14. 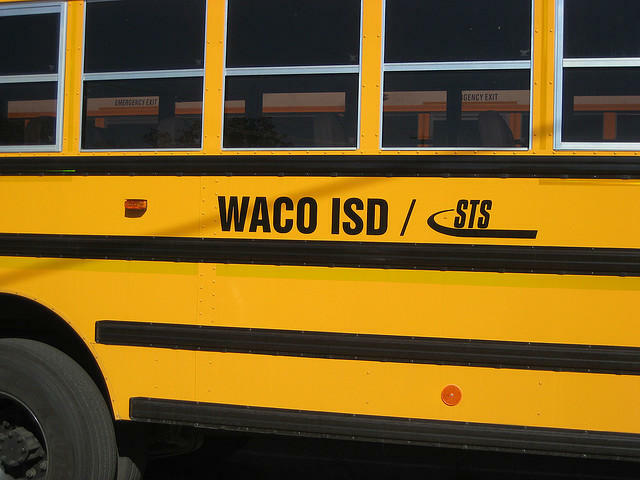 Elaine Botello – the assistant superintendent of Human Resources for Waco ISD says these aides come qualified and take additional training once they’re hired. “We currently are over 90 percent of the aides hired," Botello said. "The aides are highly qualified aides, which means they either have 60 college credits or more, some of them have a degree, or they are qualified through a course that’s offered at [McLennan Community College]." These aides are spread throughout pre-k to 3rd grade classrooms. At the Pre-K and Kindergarten levels, there’s a literacy aide in each classroom. In first and second grade, there’s 1 aide for every two classes. While teachers continue to provide the bulk of instruction, aides offer a “support system”, Cohen says. “It just opens up a lot more opportunities for that small-group learning or individual learning, and I think that’s the thing that our teachers are most excited about," Cohen said. "And we are fortunate in Waco that we keep our class sizes to that 22-to-1 ratio, but still just to have that extra person in there is definitely an advantage." The tax ratification election also saw extra reading teachers added at all middle schools, expanding credit recovery, maintaining an 8-period day, adding college credit courses and providing extra support for students with behavior and discipline difficulties.